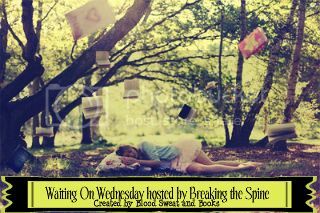 Waiting On Wednesday is a weekly blog post hosted by Breaking The Spine. For this week's Waiting On Wednesday I chose *drumroll* Dualed by Elsie Chapman. Would you live through the ultimate test of survival? Fifteen-year-old West Grayer has trained as a fighter, preparing for the day when her assignment arrives and she will have one month to hunt down and kill her Alt. But then a tragic misstep shakes West's confidence. Stricken with grief and guilt, she's no longer certain that she's the best version of herself, the version worthy of a future. If she is to have any chance of winning, she must stop running not only from her Alt, but also from love . . . though both have the power to destroy her. Elsie Chapman's suspenseful debut weaves unexpected romance into a novel full of fast-paced action and thought-provoking philosophy. When the story ends, discussions will begin about this future society where every adult is a murderer and every child knows there is another out there who just might be better. This book sounds amazing!!!! I can't even begin to fathom a society who would raise a clone just to see if the original wants life badly enough to kill it. 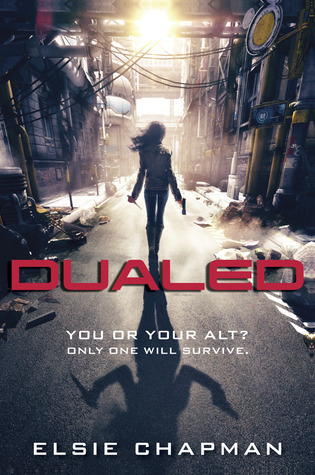 Really, good job to the Author thinking up something so original and twisted *clap,clap* I hope they make a Book trailer for Dualed so we can see the story in action and whet our appetites even more!! That wraps up my Waiting on Wednesday, leave me the link to yours so I can check it out as well! Have you heard of this book before? Do you think you could kill a genetic copy of yourself? Let me Know In The Comments Below! I love reading your responses. Kristin, thanks so much for picking DUALED as your WoW for the week! So excited for Feb! Your welcome, I can't wait!! What do you mean about the locusts? Oh oops forgot to correct that question lol. That's embarrassing. Great pick! I'm waiting on this one as well. Having to kill yourself but maybe your other self isn't the bad one. Crazy! This one sounds SOOOO tempting! Love that cover, too. Definitely a unique concept. Great pick! omgggggg I totally got awestruck with the cover and the synopsis? oh dear I'm adding this on one my tbr pile! Awesome pick! Yeah I really dig the cover as well. I haven't ran across it yet but I'm sure it's only a matter of time lol. New Follower. Sounds like a good book choice. I never saw this one before today and it sounds SOOO cool! Definitely my type of read! Really?? I'd imagine you'd be the first to sniff this book out. Nice pick. It's not someehing I would choose, but I definitely see the appeal for a lot of readers. Thanks for sharing! Awesome pick! I can't wait to read this book too :D Lots of people are waiting on it this wednesday! I'm looking forward to more reviews for it coming out too cause it sounds awesome! You know I still have not come across it lol, must just be skipping over the blogs with it. I'll take you word for it though. Dualed looks great. I love the cover, and the synopsis. 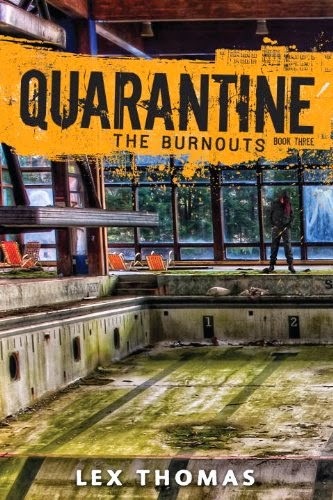 Definitely going to read this one when it comes out!